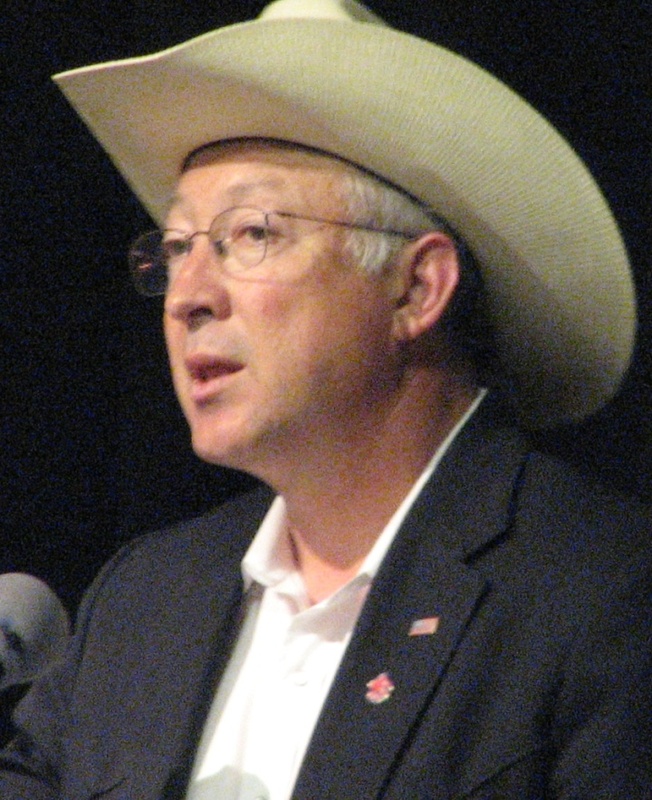 Interior Secretary Ken Salazar, speaking June 28, 2009, at California State University, Fresno. Ken Salazar plans to step down as Secretary of the Interior by the end of March, leaving a periodically controversial legacy that included stewardship of some major California water issues during the Obama administration’s first four years. The former U.S. Senator from Colorado and a past Attorney General of that state in 2012 forged joint support with California Governor Jerry Brown for revisions to the Bay Delta Conservation Plan (BDCP). Those include its key features, a pair of tunnels that would channel water supplies through the Delta while bypassing the troubled estuary’s fishery, environmental and infrastructure problems. Salazar came face to face with California’s water crisis during a pair of San Joaquin Valley visits in 2009. At the time, he became the Obama administration’s top official to deal publicly with Central Valley Project water shortages – a 10% Bureau of Reclamation supply along portions of the valley’s West Side – that were then gripping the region, idling farmland and causing severe unemployment, economic and social harm. For a time that summer, it appeared the crisis might expand to threaten the CVP’s exchange water that makes Friant Division supplies available from the San Joaquin River. Those fears fortunately did not become reality. On June 28, 2009, in a presentation at California State University, Fresno, Salazar said he was in the valley “to listen.” He got an earful from victims of water shortages many contended were caused with Endangered Species Act protections for the tiny Delta smelt but insisted a new joint federal-state effort was taking shape to find solutions, even as Delta water supply shortages were beginning to move into the state’s major urban centers. One of the participants in the Fresno State session was Deputy Interior Secretary David Hayes, who had been considered among the favorites to succeed Salazar. The Association of California Water Agencies noted many water agencies had benefitted from programs Salazar promoted as Interior Secretary. One of those, in 2010, was an interagency program called WaterSMART, which focused on water conservation and distributed many grants for local projects and activities. The Interior Department also participated in the Urban Waters Federal Partnership, focusing on watershed efforts and enhanced flood protection and water quality.President Obama said Salazar had helped “usher in a new era of conservation for our nation’s land, water and wildlife” and had played a major role in efforts to expand responsible development of the nation’s domestic energy resources. Under Salazar’s watch, the nation established seven new national parks and 10 new wildlife refuges but had to deal with several natural and environmental disasters. He was often criticized by Republicans for his positions.